The Michigan Space Forum, held at the Hagerty Center in Traverse City, Michigan, is the premier space event in the Great Lakes area. Founded in 2018, the Forum brings together industry experts ranging from space, aerospace, engineering, academia, and entrepreneurial backgrounds. 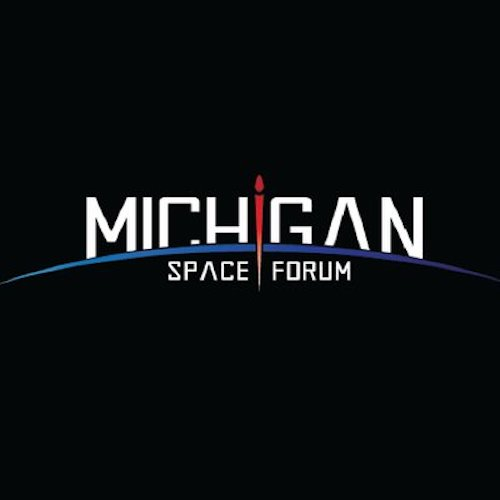 The Michigan Space Forum is a two day interactive platform for exciting and substantive discussion regarding Michigan's role in shaping the next generation of space architecture. Topics include how the state can entice businesses to develop space technology on "The Third Coast," the cultivation of the "Astropreneur," and how innovations in space can be used to study the Earth and improve communications on a global scale. Our goal is to provide an intimate, interactive arena to discuss the issues, successes and innovations taking place in the space industry, and how all of this shapes the education and growth of tomorrow's space leaders. A keynote will be delivered by Dr. Pete Worden, Executive Director, Breakthrough Starshot; former Director of NASA Ames Research Center, as well as Lt. Gen. (ret) Dave Buck; former Commander of USAF Space Command and Commander, Joint Functional Component Command for Space. Panels include: Women Space Entrepreneurs, Launch in Michigan, Emerging Space Technology, Government Role in Space Innovation, Big Versus Small Satellites, and a "Rising Stars" panel, focusing on youth space exploration activities.